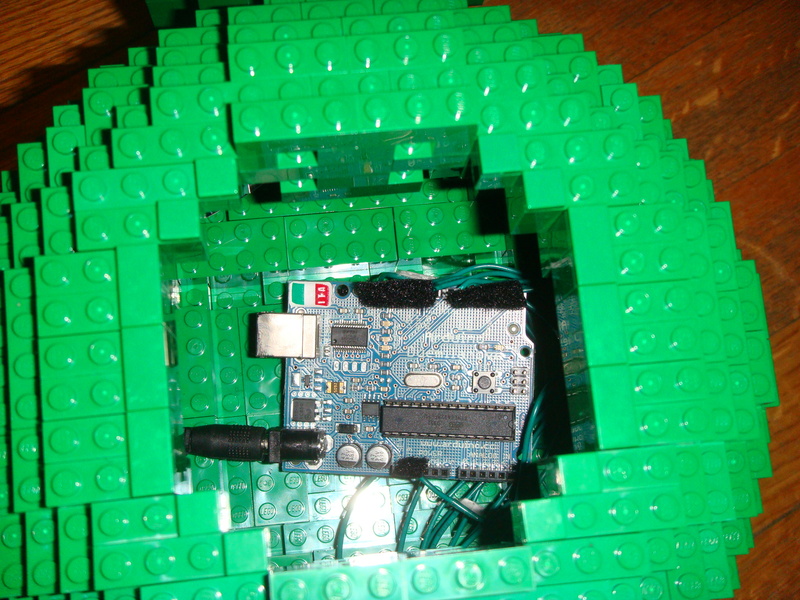 Once the Arduino was ready, it was time to start building the Lantern itself. 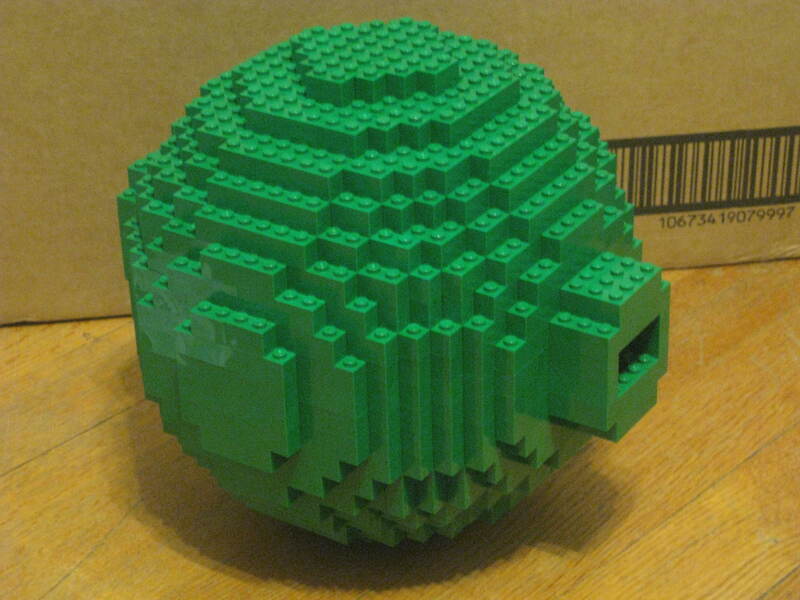 The first stage was to build the Lego sphere that made up the main body of the power battery, leaving holes on the sides for the lantern extrusions. A hole was also left in the top to allow the top part of the lantern to open to access the electronics. 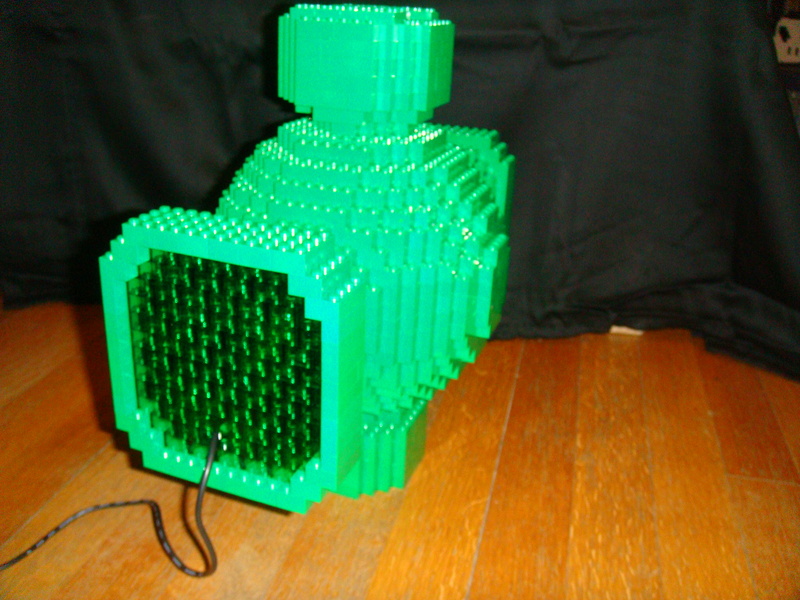 The arduino was placed in the body, and the RFID read and LED lights were added as the front of the lantern was built out. The power cable was run through the back and the rear was built out with a hole left for the cable. When building the power battery, I veered from the actual design in two places. The first is the handle. 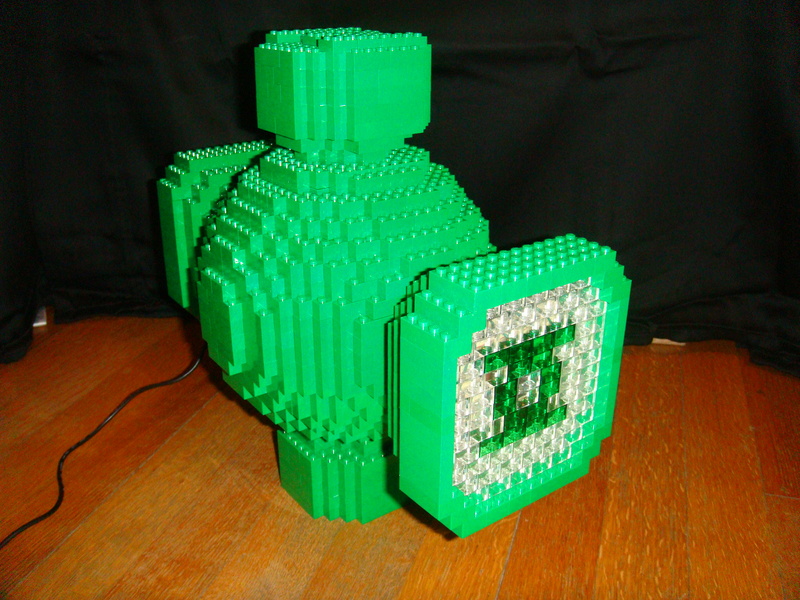 Hal Jordan lifts the lantern with a handle that runs off its sides, but the weight of Lego and the lack of strength of the handle seemed like a poor idea in case someone got the idea lift it by the handle. 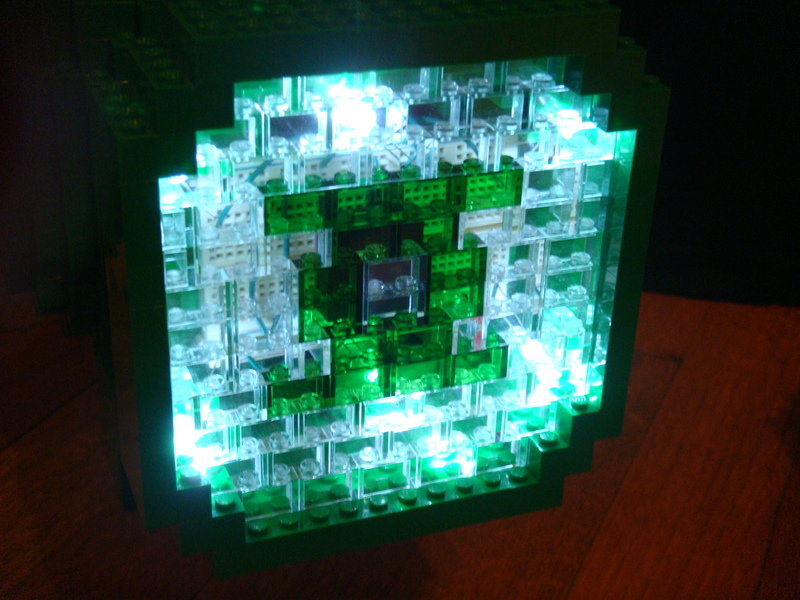 The second design change was to add a Green Lantern symbol in the front of the Lantern so it would glow when the lights fade in and out.